The primary goal of public outreach at IIA is to increase public awareness of the activities being carried out by the astronomers here. We expect that this awareness will not only engender a passion for science, but also decrease the chasm that appears to be present between the science-practitioners and the non-practitioners. We believe that every human being is intrinsically wired to look up at the sky and experience an immense sense of awe. The vastness of the Universe can make one feel both humble and small, yet extremely powerful as one begins to understand how it works. 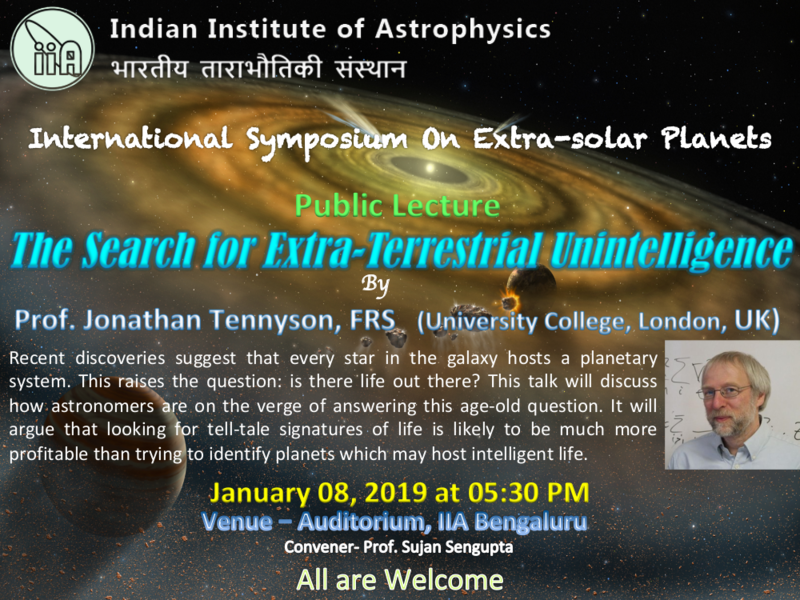 The information about Public lectures by astronomers, Sky Watches with IIA Telescopes, and Answers to your Scientific queries may be found on this webpage. Interested School / College to visit IIA and its observatories, kindly fill the request form. The public outreach members can be reached at "outreach@iiap.res.in". kindly fill in the form for our outreach team to visit your school / college (preferably within Bangalore). Kindly register yourself to attend the lecture. 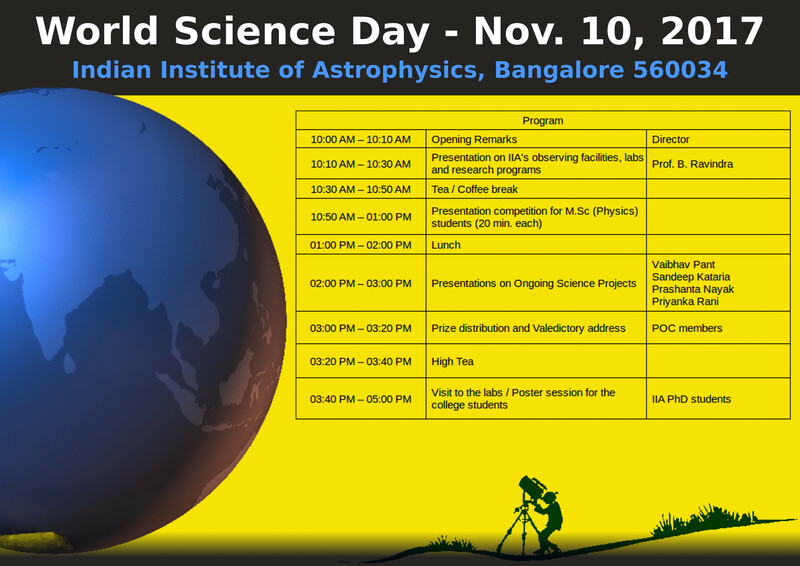 Kindly contact the convener Prof. Sujan Sengupta (sujan@iiap.res.in) to know the latest info on the program. 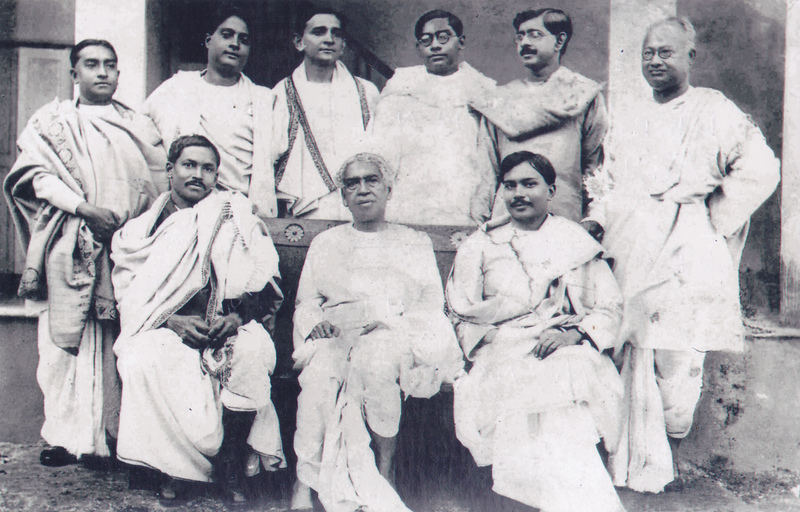 Screening of documentary film "SATYENDRA NATH BOSE"
The documentary film "SATYENDRA NATH BOSE' as directed by Mrs. Shila Datta shall be screened at Indian institute of Astrophysics (Bangalore) auditorium on October 12, 2018 at 11:00 AM on the occasion of 125th birth anniversary of eminent scientist S.N. Bose. Kindly register yourself here to watch the movie. 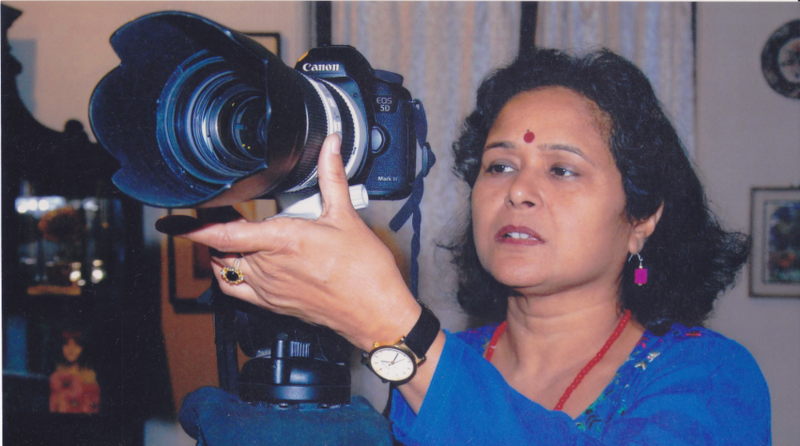 Mrs. Shila Datta is an empaneled film director and producer for Films Division,NFDC (Govt. of India), Ex Film Censor Board Member, Jury Member of Indian Panorama, Selection Committee member- Films Division for International Film Festival. She has made lots of documentary films like "Cellular Jail", "Matangini Hazra", 'Human Trafficking", "Dome", "Chamar", "Archemedis", "Cleanliness is the Life", "Satyendra Nath Bose", "Breast Feeding" etc. She had received the Best Documentary Award for 'Human Trafficking" in 2016 and received the Best documentary Award for "Satyendra Nath Bose" in 2017. 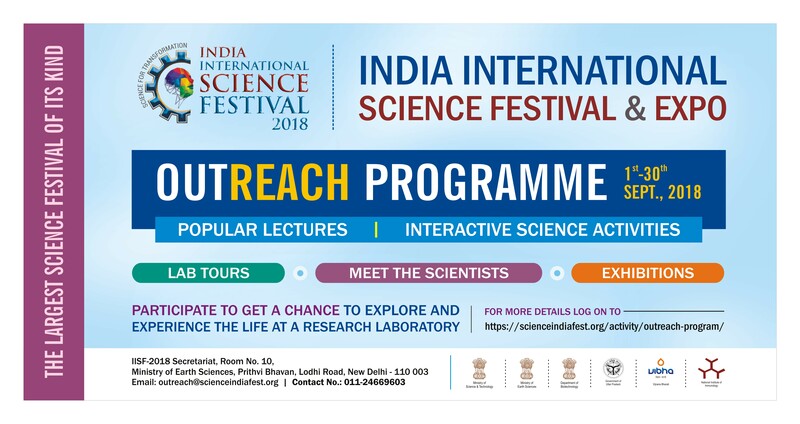 IIA public outreach committee is going to organize a one day outreach program on September 15, 2018 at IIA as a precursor event to India International Science Festival (IISF-2018; which will be conducted at Lucknow during October 5 – 8, 2018). In this program, teachers from local Government schools are invited in order to introduce IISF programs to school teachers. 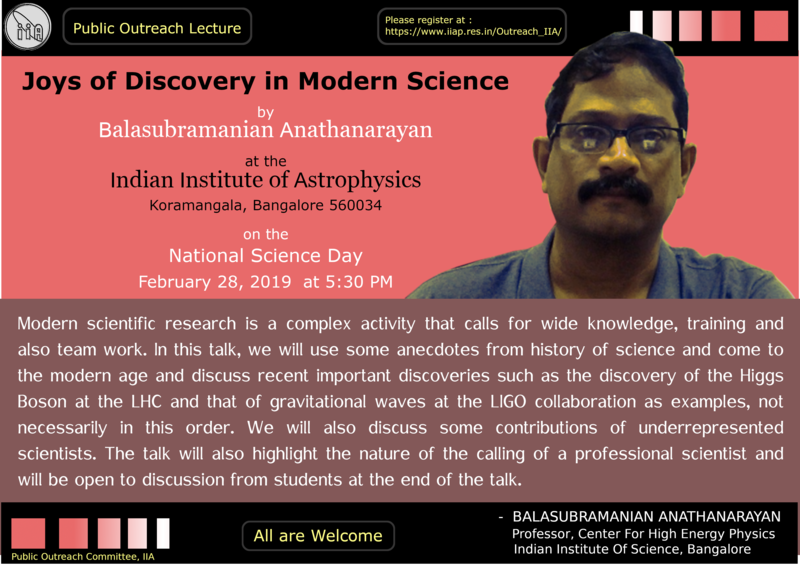 They will also be given training to explain the basic science / Astronomy experiments to their students in a simple way. For further details on IISF 2018 and downloading the event posters, brochures, etc., kindly visit IISF 2018 official webpage.